Divided tongues as of fire… Acts 2:1-21 The gas stove we had in my childhood home sometimes wouldn’t light. So as one might guess the oven required the assistance of lighted of a match. I’d seen my mother do this many times and I was quite confident that I was ready to get the oven preheated as she had instructed me. So when the oven did not light this particular time I preceded to reach for the matches that were kept in the nearby drawer. However, I did not turn the oven off to keep the gas from filling up inside. By the time I reached down and stuck my hand and head in just far enough to see the pilot it was good and ready for a flame. Before I knew it the oven came to life as a coiled tongue of fire lit up and extended itself outside of the oven like a micro-explosion and sent me flying backwards against the wall knocking over a few things in the process. My mother rushed downstairs to see that indeed the oven had been lit and her youngest daughter sprawled out on the floor. My mother realized what had happened and after making sure that I wasn’t hurt, she looked at me kind of funny as if she’d seen a ghost then burst out laughing. I had a halo of singed hair around my face including my eyebrows and eyelashes. Although shocked by the impact, I am here today to testify that tongues of fire will indeed change you. I am convinced that my own early experience with flames of fire was for the purpose of telling the truth about Pentecost being alive today ready to singe the hair on our faces that we may speak with boldness about the Gospel and live according to it’s message of love in order that others may also come to experience the power of the Holy Spirit! When the believers in Jerusalem were hit with those tongues of fire resting perfectly on each of them – as they opened their mouths to speak in their own language, I believe only one message was being spoken and one message was being heard; God’s deeds of power through Christ to love God and love neighbor as self. Every time we open our mouths to speak we will be heard in any language because of how we love God and love one another – clear indications of who we are as disciples of Christ. Because of Pentecost we live singed by fire and changed by Love! Lovely write up Deirdre. 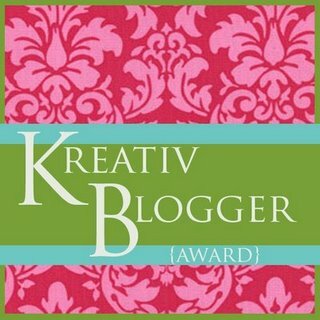 Just nominated you for the Very Inspiring Blog Award. You can pick it up on my blog. Keep the good work going.